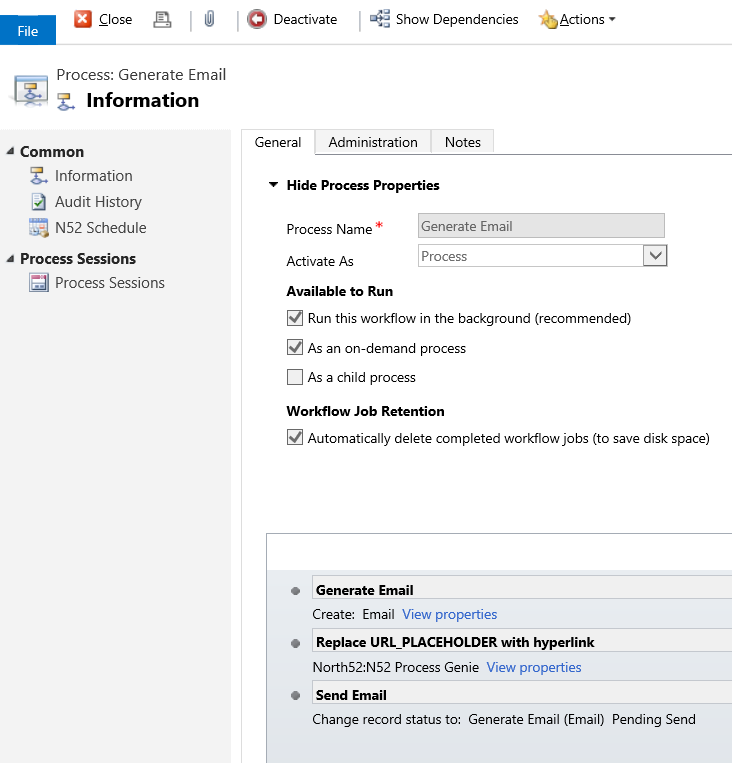 In this scenario the users needed the ability to execute a workflow on an Account record which would generate an email that would go out to the Primary Contact of the Account. One of the key pieces is that within the body of the email we must dynamically inject a custom URL based on the 'Account Number' field on the Account record so we can track who has downloaded the brochure. 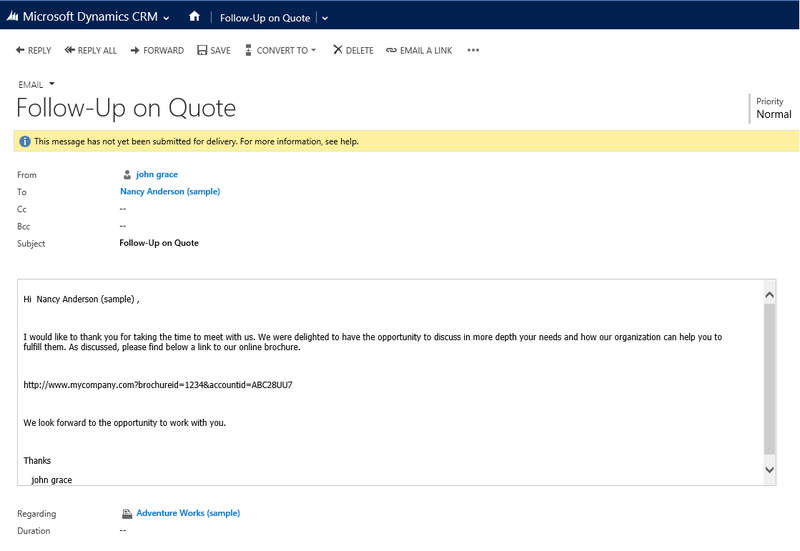 Below is an example of what the email would look like with the dynamically constructed URL. 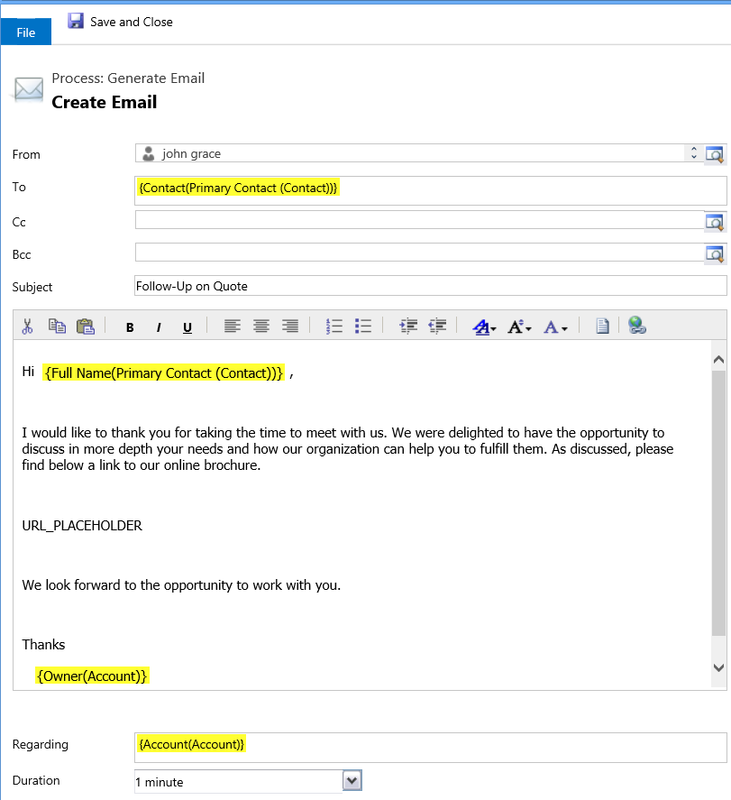 You need to set the 'Primary Entity ID' parameter on the Process Genie step to be that of the 'Record URL Dynamic' of the Email Step. Please see below the wizard you can use to create the FindValue() function call used in this formula. 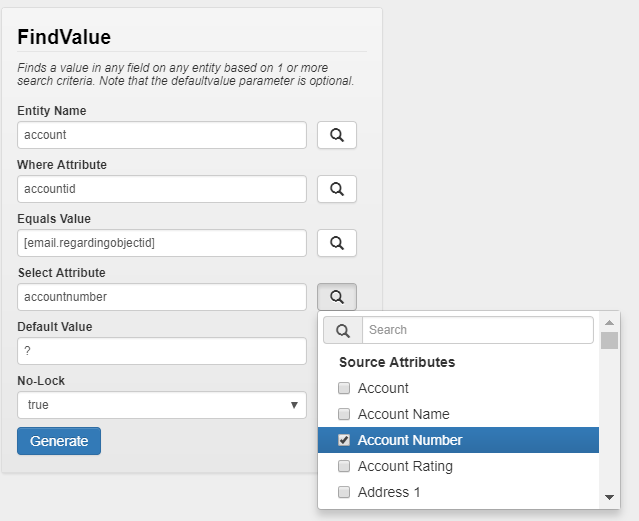 Note to find the value for Equals Value, you will need to go to the Source tab and search for "Regarding"